1) In general, how long is required to complete the 1Z0-865 assignment? Just a rough figure will do. 2) For 1Z0-865, will it be a good idea to build the code for the whole system based on the assignment question? In such a way, the class, components, sequence and deployment diagrams can be validated against it, will it be a waste of time instead? 3) Do I have to go to the test center to sit for the 1Z0-866 essay exam? 4) Do I have to study for 1Z0-866 ? Or I should be good enough to answer the questions after I complete the assignment 1Z0-865 ? First of all in order to become eligible for 1Z0-865, you should already passed the part 1 of the EA cert (1Z0-864 for v5 or 1Z0-807 for v6). Also in order to get the cert, you need to do mandatory training. 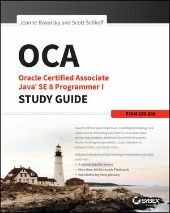 Without it, Oracle won't consider you completed the EA track, despite you may have passed all exams. pin guan wang wrote: 1) In general, how long is required to complete the 1Z0-865 assignment? Just a rough figure will do. The time limit to do the assignment AND the essay (1Z0-866) is 6 months, no longer. The 6 month-period starts when you "download" the assignment from Oracle. pin guan wang wrote: 2) For 1Z0-865, will it be a good idea to build the code for the whole system based on the assignment question? In such a way, the class, components, sequence and deployment diagrams can be validated against it, will it be a waste of time instead? The submission for the assignment is a bunch of UML diagrams and some brief write-ups (eg risk migitation, design process, etc). So writing the actual code shouldn't be necessary. However, if doing so enable you to visual the UML diagrams then go for it. Yet don't need to have a working solution. Remember the whole purpose of EA assignment is designing a solution. If you intended to actually build a solution then you probably consider the Java Developer cert. pin guan wang wrote: 3) Do I have to go to the test center to sit for the 1Z0-866 essay exam? pin guan wang wrote: 4) Do I have to study for 1Z0-866 ? Or I should be good enough to answer the questions after I complete the assignment 1Z0-865 ? The essay exam simply shows that you are the one who done the assignment. Therefore, there is not much to prepare. In fact you should able to guess what type of questions will be asked by analyzing the assignment's requirements and your process of tackling it. You may want to check out the links here for more info along with the FAQ link there.